Dr. Kang-Mieler is an Associate Professor of Biomedical Engineering at the Illinois Institute of Technology, Chicago, IL, USA. She received her BA in Mathematics, MS in Applied Mathematics and PhD in Biomedical Engineering from the Northwestern University. She completed post-doctoral fellowship at the University of Illinois at Chicago in the Department of Ophthalmology and Visual Sciences. Dr. Kang-Mieler’s research interests include translational research such as ocular drug delivery, nitric oxide sensor development, retinal imaging, electroretinography, retinal blood flow and modeling to name few. Her research projects are funded by both private and federal grants, including National Institute of Health (NIH)/National Eye Institute (NEI), Department of Defense, the Lincy Foundation, the Macula Foundation and the Whitaker Foundation. 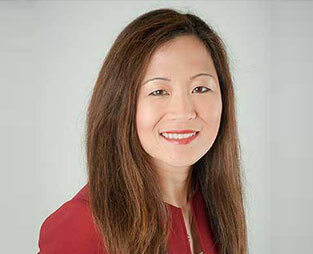 Dr. Kang-Mieler is an active member of the Macula Society, the Retina Society, the American Society of Retina Specialists (ASRS), Association for Research in Vision and Ophthalmology (ARVO), the Biomedical Engineering Society, the Pan-American Association of Ophthalmology (PAAO) and the Dowling society to name few. Dr. Kang-Mieler is currently serving as a member of the ARVO Board of Trustees, representing the Retina section. She recently named as a Fellow of ARVO. She serves on numerous committees in ARVO and Biomedical Engineering Society. Dr. Kang-Mieler is actively involved in many national and international vision and ophthalmology meetings.